Bank Notes: The True Story of the Boonie Hat Bandit has been acquired by a publisher and will be released for purchase in the next three to five months! Soon readers will have this fascinating book, which is more than a crime story, in their hands. Once the release date is known, information will be posted regarding book signings and other promotional events. Bank Notes takes readers behind the sensationalized headlines. Find out what would motivate a mild-mannered devoted father of twins to risk everything for a life of crime–a life he would hide for nearly a year. Follow Keith Giammanco through his arrest and the dark corridors of the Missouri criminal justice system. Keith would learn that none of us have protection from Double Jeopardy, and that having a lawyer doesn’t mean he is working for you. Find out what prison is really like–not the pop culture version we see on television–but the ugly, dysfunctional system that has very little to do with rehabilitating offenders. Seen through the eyes of both an inmate and a staff member, Bank Notes gives a unique insight into a system shrouded in secrecy. Grassroots activism and legislative reform are shown to be successful, even for topics that are uncomfortable for some to talk about. Prisoners and criminal justice issues don’t make good poster children, and many would think that a conservative state like Missouri wouldn’t be a likely arena for reform. However, on an issue that spans party lines, Missouri is recognizing the need for reform. It is the morally and economically feasible thing to do. Bank Notes tells the story of one man, but this one story is a wake-up call for everyone. Are we protected by the Constitutional rights we grew up believing we had? Is the system truly geared toward public safety? Mention the word “felon” and people immediately envision the most desperately evil person imaginable. Having worked for two and a half years in a maximum security prison, I can tell you that those monsters are real. BUT, not everyone who commits a felony is one of those monsters. Many people who are imprisoned are regular middle class or working class people who made a mistake. 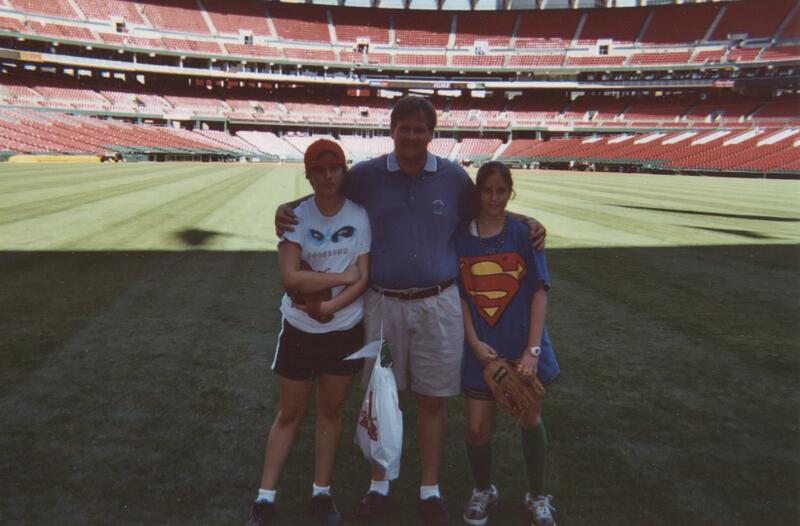 Keith Giammanco is a kind, intelligent father of twin daughters who made mistakes. Put Keith in a business suit, and you would confuse him with the stock trader that he is. 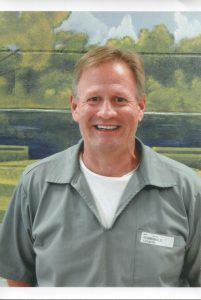 He does not fit the stereotypical image of an inmate. He made a few wrong turns after financial ruin in the stock crash of 2007-2008. Before that, no one (including Keith) would have guessed Keith would become a notorious bank robber. Who is Keith Giammanco? He is the youngest of four children who grew up in a single parent, hardworking home in northern St. Louis County. He is an avid hockey player, and he enjoys playing and watching sports. Golf is one of his passions. Keith enjoys informed political discussions, and he has traveled the world. He has an incredible memory and can recall details from scenes years ago. Keith has a keen mind for the stock market and would fit in at any business meeting. 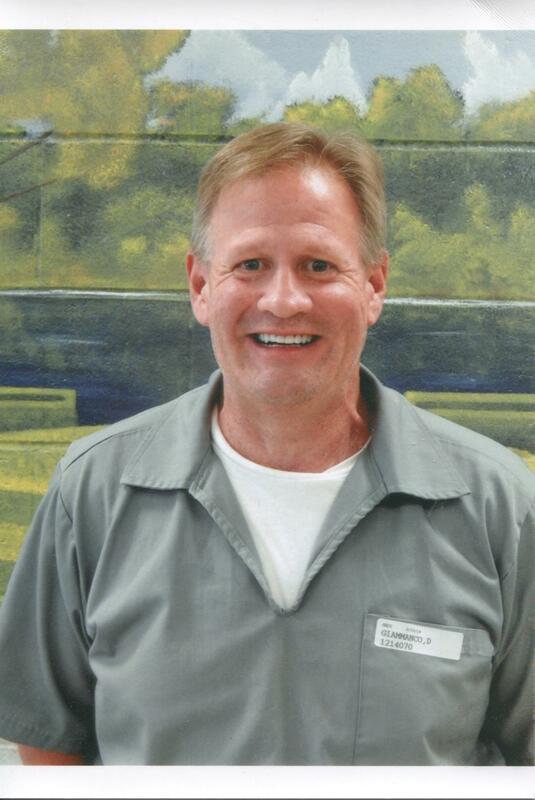 Keith Giammanco is not the typical inmate. Keith is a loving and devoted father to his twin daughters, Elise and Marissa, whom he tried to shield from the financial turmoil that struck their household. He raised his daughters as a single father, and at the time felt alone and desperate when the world tumbled down around his ears. He used his brilliant mind to find a solution. Unfortunately, that solution was to rob banks. Keith is not a violent person, and he never used or threatened a weapon. In reality, he was more in danger of a security guard or off-duty officer shooting him during the robberies than anyone was in danger from Keith. He used notes, not bullets, to take the money he needed to keep his family afloat. Keith has maintained a strong and healthy relationship with his daughters. Not everyone is as blessed to have children who stick by him. Other family members have turned their backs on Keith, but we are both thankful for the warm relationship we have with Elise and Marissa. Keith is a kind, creative, brilliant man with a caring soul. He has a sincere dedication to God. He isn’t a prison convert. Keith’s belief in God has been a part of him his entire life. For a short time he forgot to have faith, to trust, in God and that is where he began the dark path to prison. I am proud of who Keith is. He has made mistakes, but he has always accepted responsibility for his actions. He is much more than the sum total of those mistakes. He is a remarkable man, and I hope when my book is published you will get to know him even better. His crimes made national headlines, but he is a person who surpasses the infamy of his bank robberies. I hope you enjoy finding out about Keith, his motivations, and his experiences in the legal and prison systems. 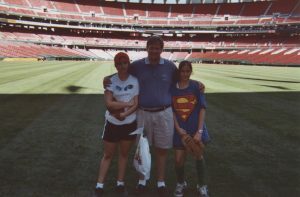 Keith and his twin daughters at Busch Stadium in St. Louis. Why would a farm girl from the Ozarks write about a highly publicized St. Louis bank robber? What would lead her to become an outspoken advocate of criminal justice and prison reform in Missouri? In some ways, it began when I was a child. My father was a deputy sheriff, and I had grown up around the courthouse and sheriff’s department of my small town. Criminal justice issues were a topic of conversation in our home, and it was no wonder that when I went to college at the University of Arizona I chose Political Science as my field of study. I had always seen the criminal justice system in terms of the arrest and trial of those accused. My knowledge stopped at the prison door. That is, until July 2011. I accepted a teaching position at one of Missouri’s maximum security prisons that summer. I was one of a handful of teachers who taught the GED program to those inmates who had not already earned a high school diploma. As staff, over the course of the next two and a half years, I witnessed criminal behavior on the part of some staff as well as a culture of fear and intimidation that was cultivated to keep employees quiet about what really happens inside our prison system. Shawshank isn’t that far from reality. I met Keith Giammanco in March of 2012 when he interviewed to be my tutor in my classroom. Prison relationships have hit the headlines lately thanks to the escape of two inmates in New York. By now, most of us know an emotionally involved prison employee helped with the escape. Not all prison relationships should be viewed in the same light. While numerous scams are perpetrated, there are many devoted, loving couples who find themselves in this situation. Not everyone is manipulated. Not every relationship is about money or power. Sometimes two people fall in love in very unusual circumstances. That’s what happened with Keith Giammanco and me. I am college educated and a professional. I grew up in a military and law enforcement family in conservative southern Missouri. I am not a soft-on-crime, bleeding heart kind. Having a prison relationship was the last thing on my mind. I wouldn’t change where I am at, though. What Keith and I found is worth the daily struggles we go through. Keith is not the stereotypical criminal. If you met him, you would see he is much better suited to be in a business board room than to be wearing prison greys. He is bright and articulate, and is a good example of what happens when a good man and father are pushed to his limits by fear and desperation. He regrets his crimes, and not a day goes by that he doesn’t accept responsibility for his mistakes. As soon as he was arrested in the fall of 2008, people pressured Keith to share his story with them so they could write a book. Universal Studios offered to buy the rights to his story for a movie deal. Keith is a private person, and he refused to open up his life and his innermost vulnerabilities to strangers. Even his own children hadn’t known he was robbing banks, and he certainly wasn’t going to confide in people he didn’t know. That all changed when Keith and I met. He once told me that I was the first person he had met since his arrest that didn’t ask him why he had done it. I didn’t need to ask why. As a parent of two children, I understood why he would risk his freedom to make sure a roof was secured over his daughters’ heads when the economy tanked and good jobs that could pay the bills were nonexistent. I don’t condone robbing banks with notes, but I also can see how someone could cross lines of acceptable behavior out of desperation for their children’s well-being. After leaving the prison in October of 2013, I resolved to do something to change the system. My motivations aren’t out of a misguided sympathy for inmates. My motivation is a determination to make sure that our tax dollars are spent to make the system better, not worse. For all of the money we pour into incarceration, we should expect a better product coming out the other end. Rehabilitation should be the focus. Since 95% of all inmates in Missouri will be back in our communities at some point, the citizens of our state are the real losers if we don’t get the service the “Corrections” Department claims to provide for us. We currently spend $680 million a year to incarcerate 33,000 inmates. Certainly, we can make those dollars be well-spent and geared toward what will be good for our communities, not for what is good for the administrators of the various facilities across our state. I will blog about a wide variety of prison topics, including the struggles of having a relationship separated by prison walls. Many people wonder what prison is like, and it is eye opening to know what the reality is. I will help you learn how you can get involved to bring about positive, constructive change in our system. Thank you for joining me as I share my experience and my knowledge of the Missouri prison system. Keith Giammanco, dubbed “The Boonie Hat Bandit” for his spree of twelve bank robberies he committed using only notes in 2007-2008 in the St. Louis metro area. “BANK NOTES” is awaiting action from publishers and I haven’t read the book, but I do know about its conception in the heart of a friend, author Caroline Giammanco. 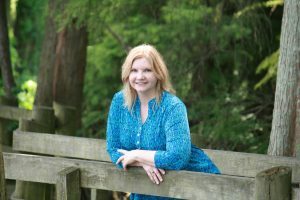 At her website, www.BoonieHatBandit.com, you can learn that Caroline Giammanco was born and raised in the Ozarks, plus, that she has had a fulfilling career teaching in schools across the country before she came back to the Ozarks to teach. A few years after that return, she accepted a position to teach inmates at one of Missouri’s maximum security prisons. During that time, Caroline met Keith Giammanco, an inmate and tutor for the classes. Keith is serving sentences due to a non-violent bank robbing spree during which he became known as “The Boonie Hat Bandit.” BANK NOTES is Keith’s story — who he is, why he chose to rob banks and what his experiences have been while incarcerated. Caroline grew up in a military and law enforcement family in conservative southern Missouri. Soft-on-crime is not a part of her vocabulary. She soon got a disturbing glimpse, however, into the heavily shrouded arena of the prison system. As a member of the staff, Caroline saw activity that should concern every taxpayer. Over time, what she witnessed solidified opinions about conditions within the system, plus flaws in the Missouri prison policies. 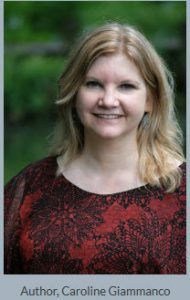 Caroline’s research points out issues that are wide-ranging in the system: abuse of inmates and families, increased recidivism through weak rehabilitation programs, harsh parole percentages and other issues such as double jeopardy violations. Caroline and Keith’s relationship has led to a mission to get legislative reform for first time offenders, appellate justice and also respect for families who try to support inmates who are part of their beloved family. Their blended family includes Caroline’s two sons and Keith’s twin daughters who are perpetually loyal to both parents. Change will not come to Missouri without effort on the part of Missourians to inform and track legislators and governing policies. I encourage you to follow Caroline’s blog on the Newsy Notes page at BoonieHatBandit.com. She will be invited to be a guest author here at Ozarks Mystique.